Apartment and balcony were both huge - so much space! This is the third time I have stayed at Argus Apartments and wouldn't stay anywhere else in Darwin. They are so accommodating and the apartments are clean and comfortable. The apartments themselves are large and private and are well equipped. Apartment was very clean, bed was very comfortable, staff where very friendly. The amenities in the apartment were very good. It was bright inside and the bed very comfy with plenty of storage space in the bedroom. We loved how spacious and clean the apartment was. The facilities were great and staff very friendly and helpful. It was so centrally located and within easy distance of all the restaurants and shops. Friendly, helpful and willing to go the extra mile. Well appointed, walking distance to waterfront and shopping. Spacious apartment close to everything. Staff were fabulous. Good facilities, clean large rooms. Staff were excellent. Rooms were excellent. Very modern and clean. Heaps of room and the property itself is located close to everything needed. And public transport is at the doorstep is you wish to explore further. 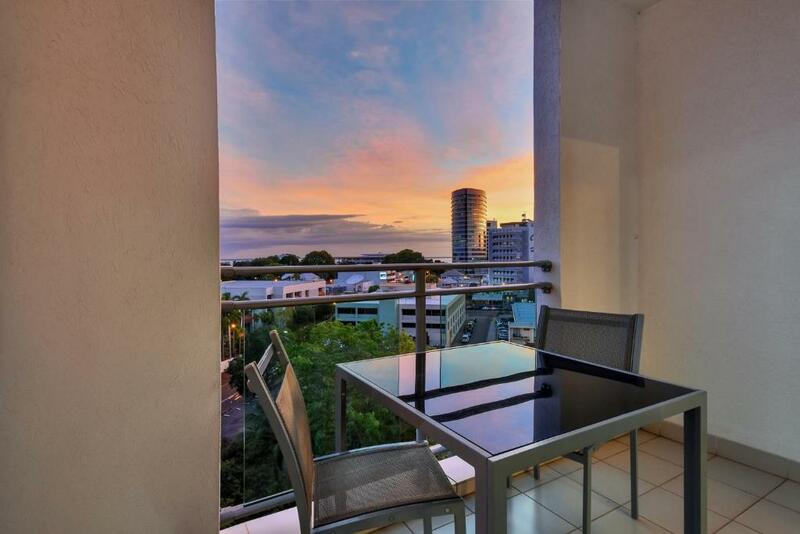 Lock in a great price for Argus Apartments Darwin – rated 9 by recent guests! 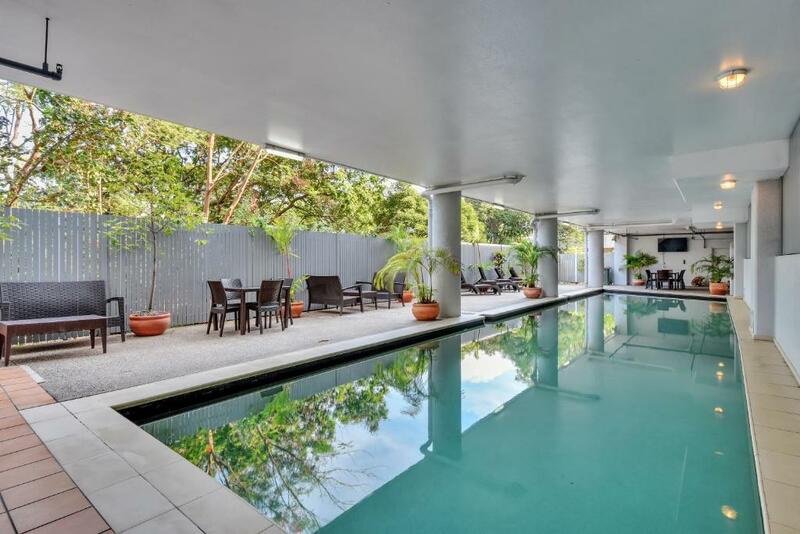 Argus Apartments Darwin This rating is a reflection of how the property compares to the industry standard when it comes to price, facilities and services available. It's based on a self-evaluation by the property. Use this rating to help choose your stay! 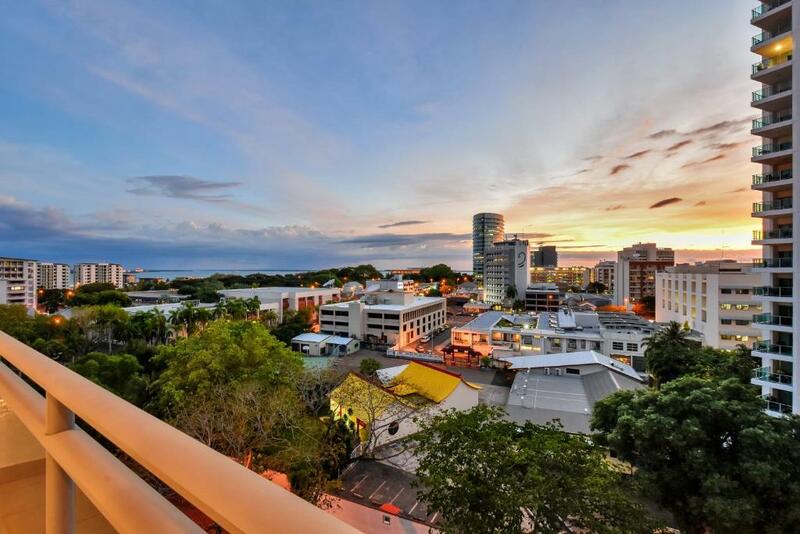 One of our top picks in Darwin.Argus Apartments Darwin offers modern self-contained apartments in the heart of Darwin city center. Facilities include a swimming pool, spa pool and fitness center. Free WiFi is provided. Reception is open 24 hours a day and offers free luggage storage. Secure undercover car parking is available. Guests also have access to a fully equipped business center. 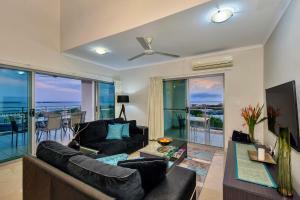 Argus Apartments Darwin are less than 10 minutes’ walk from The Esplanade and Darwin Harbor. 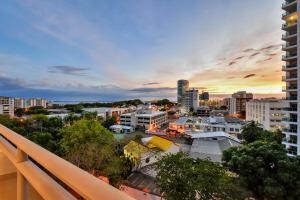 The apartments are centrally located to the city’s beaches, parks, art galleries, casino and nightlife. When would you like to stay at Argus Apartments Darwin? Features large living and dining areas, plus a large outdoor balcony with seating. Private parking is available on site (reservation is needed) and costs AUD 9 per day. Features large living and dining areas, plus a large outdoor balcony. This apartment has a sofa, dining area and toaster. This apartment has a balcony, tile/marble floor and sea view. Argus Apartments Darwin consists of luxury One, Two, and Three Bedroom Apartments, plus our 6 multi-level Four-Bedroom Penthouse Suites. We can accommodate to every guests needs, from single travelers, to corporates, to large groups. 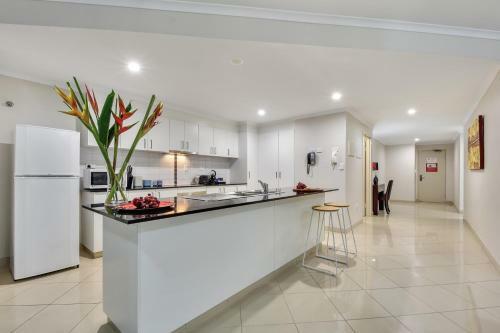 All our superbly appointed luxury apartments feature; fully equipped kitchen facilities, separate living and dining areas, separate office, private balconies and private laundry facilities. Our distinctive range of open plan air-conditioned living spaces, are designed to provide maximum comfort where our guests can socialise, work, or relax as if in ones own home. 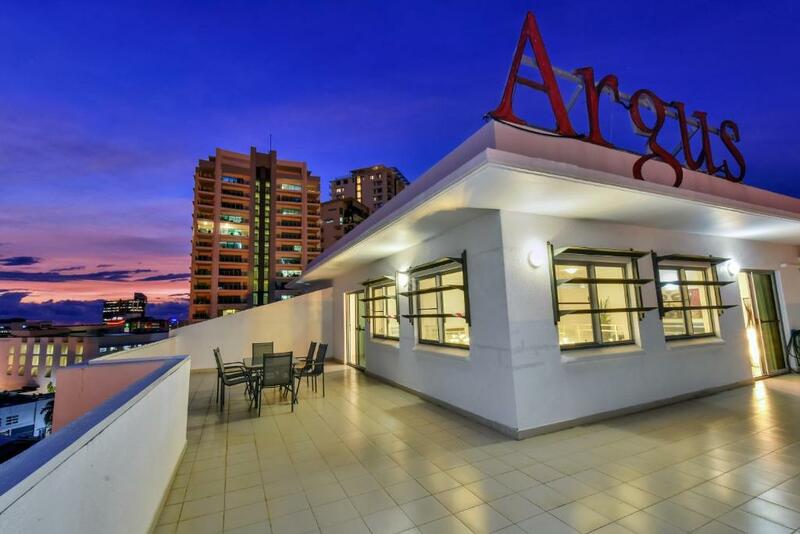 At Argus Accommodation, we aim to deliver the best possible service and experience on both a personal and professional level to all our guests, catering for every individual's needs. We aim to find a balance between showcasing the relaxed nature of The Territory, while ensuring we deliver an outstanding and memorable experience for all. We don't just entertain the ideology of 'good service' and 'going above and beyond' for our guests. Intrinsically, this is something we believe and it becomes tangible in nature. Our team has a natural desire to be with people and pleasing our guests is essentially, our ultimate goal. 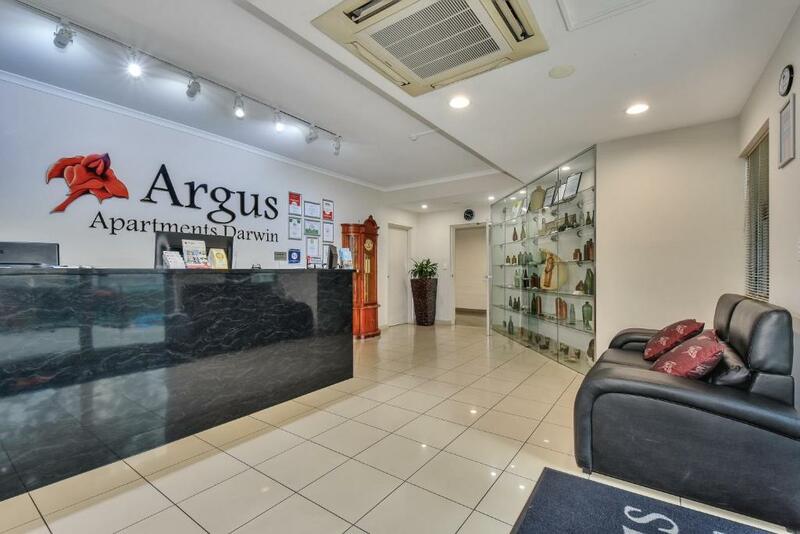 Argus Apartments Darwin are conveniently located in the Darwin CBD, and within short walking distance of Darwin's Waterfront, restaurants, and entertainment precincts. House Rules Argus Apartments Darwin takes special requests – add in the next step! 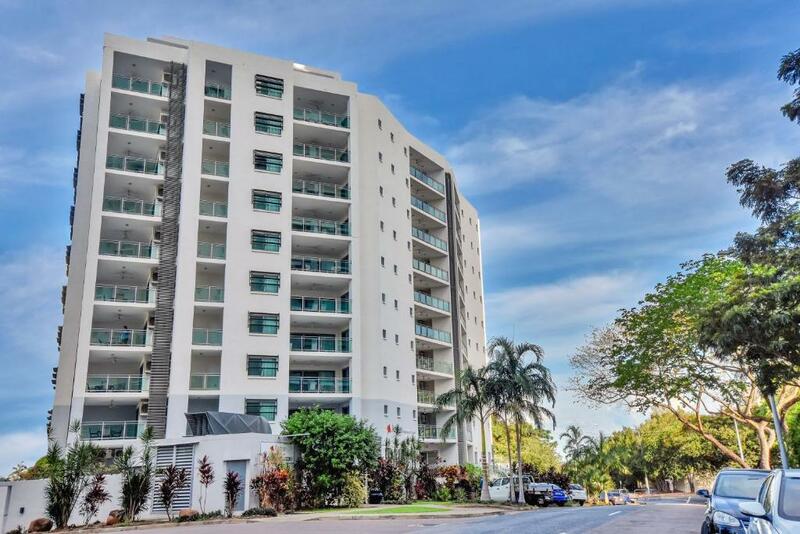 Argus Apartments Darwin accepts these cards and reserves the right to temporarily hold an amount prior to arrival. Please note that a credit card pre-authorization of AUD $350 for Executive Apartments, AUD $700 for Penthouse Apartments, AUD $500 for Premium Apartments and AUD $1000 for Premium Penthouse Apartments is required upon check in to cover any incidental charges. Please note that there is a 1.5% charge when you pay with a Visa, MasterCard or an American Express credit card. Please inform Argus Apartments Darwin of your expected arrival time in advance. You can use the Special Requests box when booking, or contact the property directly using the contact details in your confirmation. The apartment was spacious, clean and beautifully furnished. 3 balconies to enjoy the early morning sun.... too hot later on! Comfortable beds. Melody, on Reception, was a real gem! Very pleasant and helpful! I was extremely disappointed that the swimming pool was unavailable. I understand that it required maintenance however, this should have been told at the outset, straight after I booked, and a discount applied. The undercover parking was very tight - it is very hard to get a big vehicle around the corners going down into each level but there was plenty of parking available and easy access to the elevator. Good location, very quiet and close to the CBD. The rooms were excellent and spacious - very good value for money. Lovely rooms. We loved the staff who were always helpful and friendly. Our appartment was very spacious and clean. Our appartment was serviced and replenished really well by staff. Plenty of room. Very clean. Great service. Huge aoartment, with laundry facilities, sepaaate bedroom and lounge, air conditioning and fans, u dercover parking, big balcony with table and chairs. Lovely pool. 24 hour reception. Best place I have stayed in. Beautiful clean inviting apartment! Felt right at home. Would stay again anytime. Thanks for having us. The pool was out of action the whole time we were there for 6days. We were told it was going to be fixed and up and running every day. Also we added on extra nights while we were there and the rates changed from 240 a night to 300 and the reason that was given was that the closer to the date we book the rates go up. But when we booked and got the 240 rate, I had booked that the morning of arriving and when I booked the extra nights I was giving 2 days notice. So that reason didn’t make sense. And we are Northern Territory locals and the ads say your given a discount but we did not receive this offer. Loved how big the apartment was. Big kitchen bedrooms and and bathroom. Clean the shower cubicles properly. Great overall experience. Ensuite hower recess had black Mould along the edges. I liked the layout of our apartment, it was the perfect amount of room for us. Plenty of space to move about and relax without feeling on top of one another. The outdoor entertaining are was also very spacious. I was a little upset that the main TV in the lounge could not put a usb into it. we had a hard drive to watch movies but was unable to get it to work due to the input being for service only. I would have though that staying in a penthouse, that the outdoor furniture would have been a lot newer, I had to go to reception upon arrival and inform the staff that I had 2 chairs with rips in them. Both the tables on the balcony's were very wobbly and felt unsafe. I was also unhappy that the release of the $1000 deposit, that there was no mention of anytime when I made the booking, took over 4 days to return to my account. Thank for a great stay. The space was beautiful, and the skyline stunning.